I just got back from a trip in a tow truck to my mechanic’s, after what I fear my be my trusty Jeep’s final engine failure. I knew when I bought the car that it was older, it had a lot of miles, and it was supremely impractical for the city. But for reasons I likely will never understand, I really, really wanted a Jeep Cherokee. When I bought the car. It was just what I wanted. I'm also glad I documented my sweet Whalers T-shirt. This sounds crazy when I write it all down, but I don’t really want much. Obviously I want to be comfortable, safe, and loved, but I’ve never seen that as contingent upon living in the right place, having the right gadget, or driving the right car. Because I have such a passionate devotion to the real, I’ve never had a significant life of wishes. What I have is fine. I don’t need anything more. My mother always says to my brother and I “you kids never asked for anything!” I’m sure this is selective memory, but I think there’s something to it. My hope is that I still don’t ask for a lot. Yet, from time to time, there is something that pulls at me more than a few times. When I recognize the pull, I listen. Sometimes the pull leads me to a new car. Sometimes it leads me to a career, as it did on the day I came home to my dorm and found a flyer recruiting teachers to an urban school. Sometimes it leads me into relationship, when I meet someone and know that we are going to be smashing friends and that I need to pursue the friendship. Ignatius teaches us to listen to our deepest desires, to get to know ourselves well enough to recognize when the pull comes from God and when it comes from elsewhere. When I pray, I shut up and listen, hoping the pull will come to me, will set me straight. Do I need to recognize that my deepest desire is care? That it is productivity? That it is relationship? All I can do is be quiet, rest in the Lord and in myself and listen. The answer is out there – or rather, it is in there. It is discernible and it is holy. It is OK to want, as long as we commit ourselves to thoughtful listening. A bud unfolding; a dutiful, prayerful nun. It made me feel holy. But getting to heaven takes a long time. I saw. I heard. I followed. I made my way to prison cells. I made my way to death chambers. A desire for justice woke in me. A fierce desire that will not let go. The deepest desire of my heart. Sometimes I see red Jeeps driving around Baltimore, and upon seeing them I have a moment of excitement and then a moment of disappointment at realizing said red Jeep is in all likelihood not you. 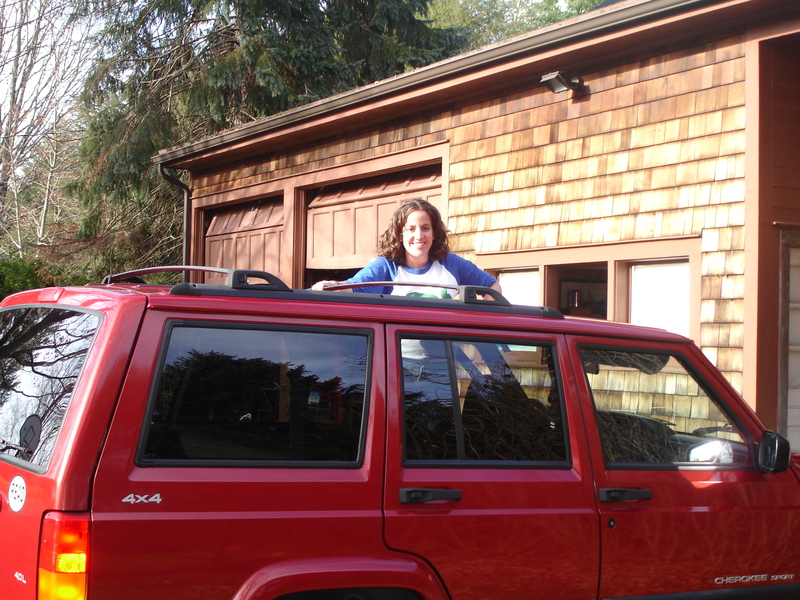 Aw…sometimes I see red Jeeps driving around Boston, and think that mine has been stolen. Mine didn’t end up giving up the ghost this week, so you’ll still see mine next time you’re kicking around St Ig’s!